This would be a cool, refreshing drink during those hot days of camping. I know we had several 90° (and above) days this past season and it was hot! It’s supposed to reach about 80° today so maybe I’ll make some at home! Here’s a helpful tip: To make juicing easier, firmly roll the lemons between your hand and counter top before cutting in half and juicing. Juice the lemons to make 1 cup of juice. This morning our crew is working on putting up the nativity scene for the Santa Claus Land of Lights. That’s one of our longest displays. If you remember last year it was located in the Holiday World parking lot; right before you entered the light show. This year since we’re using our main entrance as the beginning of the light show it’s now located in front of our new office building. It’s going to look really nice there. Here’s a few photos of ’em hard at work. Last time my family and I camped here at Lake Rudolph was during our HalloWeekends this September. I went down to our RV a wee bit early to make these babies and pop them in the oven. They were tasty and I know this is a popular side dish while camping so I thought I’d share them. Keep repeating this layering technique until you reach the top of the dish or you run out of ingredients! There’s no right or wrong way to do this. In fact, sometimes I find that the faster I just throw it together the better it tastes. Cover with foil. Cook time is about two hours; depending on how large a dish you make. You’ll want to check them periodically to make sure they’re cooking evenly and not burning. You can also cook these over your campfire or on the grill. Now that we’re closed for the season I bet you think we just take a nice loooong break. Ha! We wish! 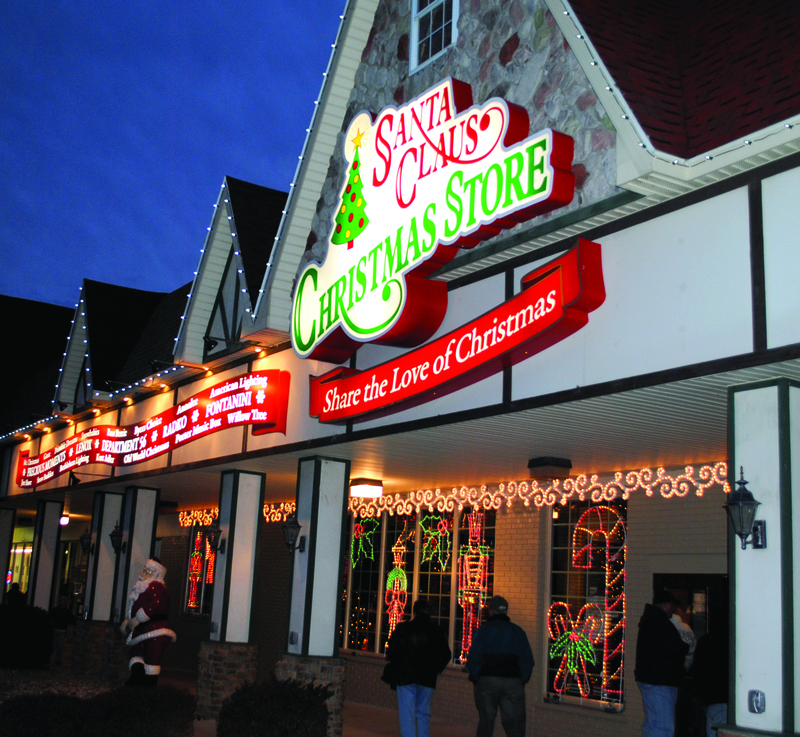 The light show opens on Thanksgiving night so we don’t have a minute to spare! If you didn’t get the chance to visit last year you have to check it out. 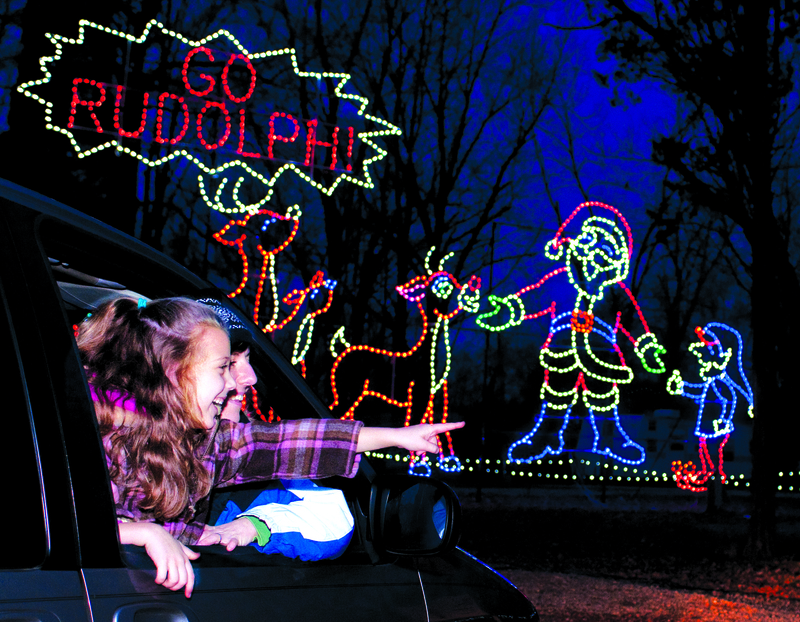 The best way I can describe it is to say that the campground completely transforms into a lighted wonderland. Of course the Christmas season is coming up. So the Santa Claus Christmas Store has been busy preparing for the start of the season. If you remember we announced that we’ll have some new cabins next year … Rudolph’s Christmas Cabins. Remember those? So that means we’ll spend the off season having those babies built and ready to go by the time you want to rent them! And you know that we’ve been talking about our new office building too so we’ll be making the move into our new office over the winter months. Off season you say? Hardly!